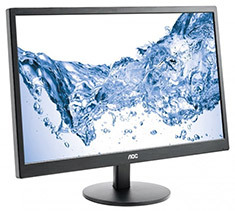 The AOC E2470SWH LED Monitor features a 23.6in display size with a 1920x1080 resolution, 1ms response time, 1000M:1 dynamic contrast ratio, VESA 100mm support, speakers and more. 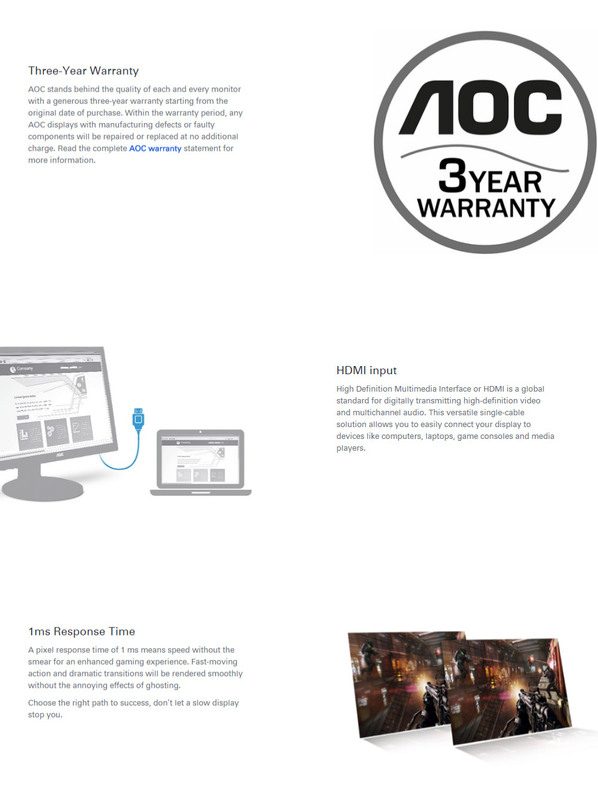 The ultra-fast 1ms response time makes it perfect for passionate gamers, as well as anyone who uses graphics, animation and film editing applications. Simply connect your AV sources via the model’s D-Sub, DVI or HDMI ports and enjoy flawless picture quality. The built-in 2 watt speaks offer rich, clear sound for movies, music or video calls. 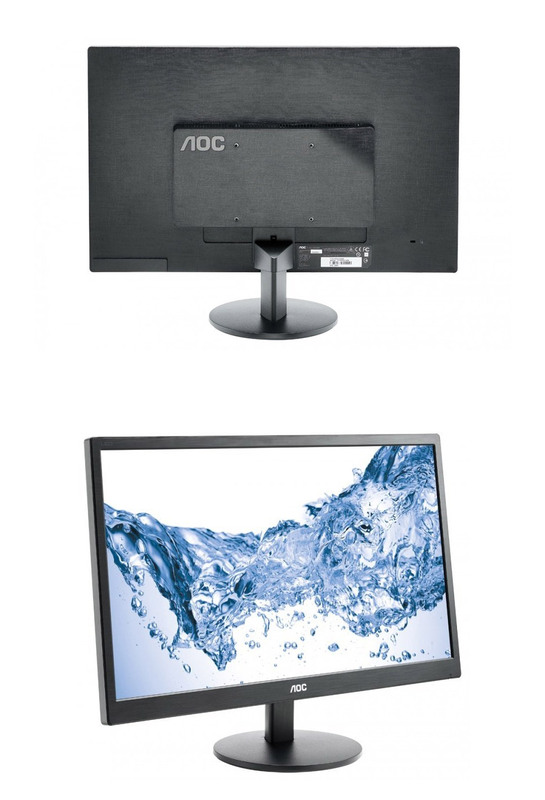 Furthermore, AOC fits out all of its monitors with clever software and presets to further save energy and enhance the overall user experience.